Hai Ba Trung district - the most popular urban district of Hanoi capital. With the population of about 378,000 people. This is one of the first four districts of Hanoi city, which named after two heroines in Vietnamese history (Hai Ba Trung means the Trung Sisters). Here in this district, there locate some of Vietnam’s largest universities. Thus, there are lots of apartments for rent in Hai Ba Trung district available to serve for demand of such this high population in the area. WHERE TO STAY OR LIVING? Hai Ba Trung District is also regarded as the center of Ha Noi, however it is not as high rate ranked as Hoan Kiem or Tay Ho district. There are many apartments for rent in Hai Ba Trung district or serviced apartment rental with rental prices from 350 USD to 4000 USD/month. If you are an expatriate and you are looking for an apartment for rent in Hai Ba Trung district, you can stay at such apartment buildings as Vicom Ba Trieu Tower apartment, Hoang Thanh Palza or Kinh Do apartment with apartments from 1 bedroom to 4 bedrooms in accordance with your demand. If you are looking for an apartments for rent in Hai Ba Trung district to stay for long term, there are a list of apartments for rent this area located in Mai Hac De street, Bui Thi Xua street, Tran Xuan Soan street etc. Or apartments for rent in Vinhomes Times City compound or apartments for rent in Hoa Binh Green City. In case you do not demand to look for an apartment or a house for rent in Hai Ba Trung district, you can stay in many luxury hotels with reasonable price such as A25 Hotel Mai Hac De, Somerset Grand Hanoi, Blau Hotel Hanoi or May De Ville Boutique Hotel and so many others for your selection. WHERE TO EAT OR DRINK? In addition to a variety of the restaurants located everywhere in the district that you can find it easily, when staying in an apartment rental with fully furnsihed in Hai Ba Trung district, you have chance to enjoy specialties in street style whenever you want. For example, Pho (Rice Noodle) is available all day and night. Just need steaming fragrant broth, thick rice noodles, slices of tender beef or chicken, it’s so simple to have a bowl of Pho no matter when you are hungry. 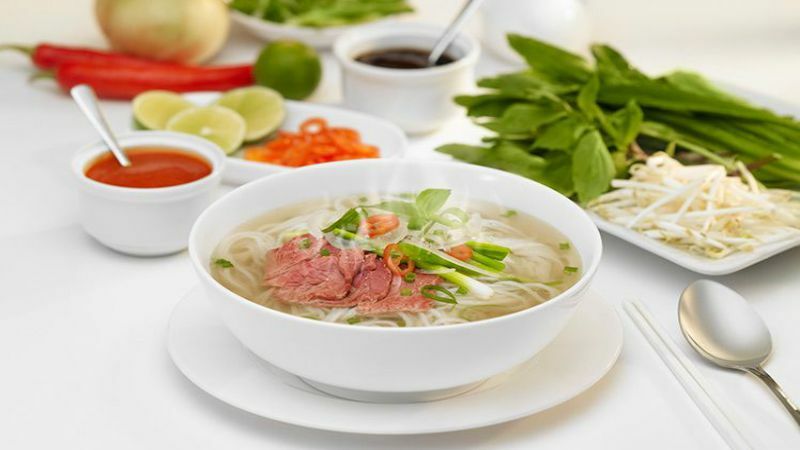 “Quan Pho Suong” located at 36B Mai Hac De – Hai Ba Trung district is known as one of the famous place for you to enjoy Vietnamese traditional Pho. The second address is “Quan Nem” – located on Bui Thi Xuan – a street on the south of Hoan Kiem lake. As the name suggests, it specializes in spring rolls (in Vietnamese it is called Nem) and one type of nem in particular: nem cua be (spring rolls of sea crab). A spring roll is made from chopped crab, glass noodles, mushrooms and beansprouts then deep fried and cut into pieces for easy consumption. Enjoy spring rolls with rice noodles, herbs and sauce made of fish sauce, garlic and chilli. Another place for naming is Pots n Pans on Bui Thi Xuan street - just about two kilometres south of Hoan Kiem Lake. Bui Thi Xuan street is one of the small ones running parallel to Pho Hue and Ba Trieu. Pots n Pans is considered to be a must-go restaurant of Hanoi. 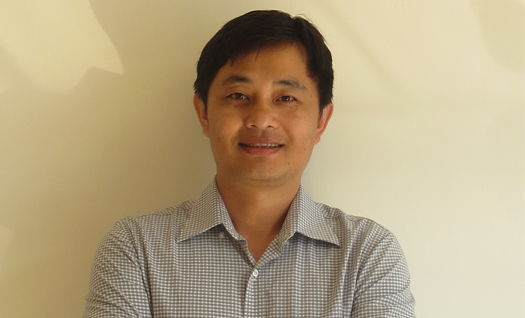 It is a collaboration of KOTO – a vocational training organization for street and disadvantaged youth in Vietnam. Upon creation, it seems that the restaurant is creating a culture around food and dishes by having a young and passionate team of KOTO graduates who are trying to do something completely new for Hanoi. They describe their food and dishes as innovative Vietnamese cuisine. Price here is also acceptable, just about US$30–40 for a three-course meal with drinks on top. Hai Ba Trung District located in the center of Hanoi capital. This is one of Hanoi's most visited destinations as many famous places are located here such as Vincom City Towers, Vinhomes Times City, Thien Quang Lake, Thong Nhat Park and Hai Ba Trung temple. With a wide range of attractions to discover, the district will not cease to amaze you. Being an undeniably popular travel destination, the district offers a memorable escape with its famous sites. As one of the busiest commercial centers in Vietnam, Vincom City Towers (or we always call Vincom Center Ba Trieu) is considered the "shopping paradise in Hanoi", where gathering many famous brands domestically and internationally for all field. It is not only the place to meet all the needs of working life, but it is also a relaxing place for people playing in Hanoi capital. The building offers many apartments for rent in Hai Ba Trung district with fully equipped and luxury facilities. The temple was built in the 12th century in order to dedicate to the two Trung sisters who ruled Vietnam during the war with the Chinese. This is a nice place to visit when staying in Hanoi, especially when living in a house for rent in Hai Ba Trung district of which the name followed two these heroines. The temple also has another name of Dong Nhan Temple because it was built in Dong Nhan area. The Park is located next to Hanoi Circus and Thien Quang Lake, just about 15 minutes by bike to the Old Quarter and Hoan Kiem lake. Being erected in 1958, the Park was known as a green lung of Hanoi over 50 years. Main function of the park is to satisfy Hanoi people’s demand for entertainment, however, with the name’s meaning “reunification”, it also covers a will to unify Vietnam at that time. Thong Nhat Park is also well-known with the name of Lenin Park as a good will of Vietnam to commemorate Lenin leader on his 110th birthday. The park bears the park, not an amusement center, so there are not so many games or activities for people to enjoy here. However, kids still may play something like mirror house, driving plane or train riding. 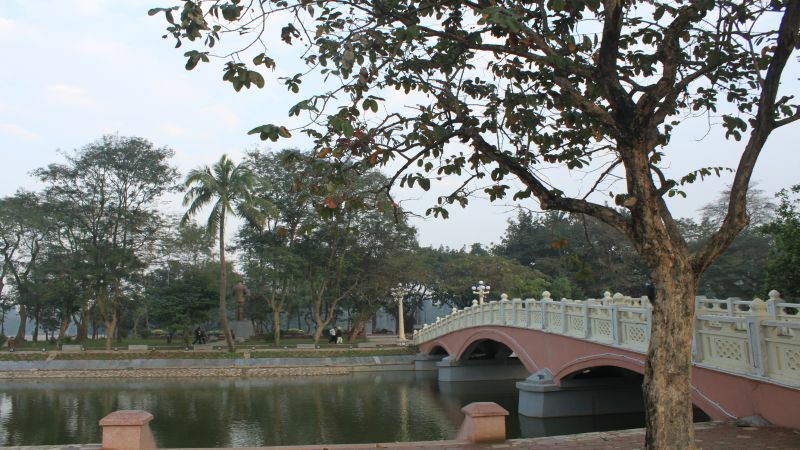 Inside Thong Nhat Park, there is a seven hectare lake with the name “Bay Mau Lake” where people can enhance their heath by sailing swan boats and taking in cooling breeze. The park is also a peaceful and romantic place for couples’ dating. Thus, you can enjoy the best deals when choosing to stay in an apartment for rent in Hai Ba Trung district. If you are living in fully furnished apartment in Vincom in this building, or Hoang Thanh apartment building which situated next to this building. Yes, the best shopping malls are great options for when you need to escape the afternoon heat, to catch the latest films, and to shop for internationally-renowned brands. In addition to a plenty of narrow shop-houses, outdoor markets, and handicrafts outlets in Hai Ba Trung district area, contemporary shopping malls are attracting a great amount of the local people and tourists as well for the reason that it offers a wide range of such services as dining, shopping, and entertainment options under one roof. 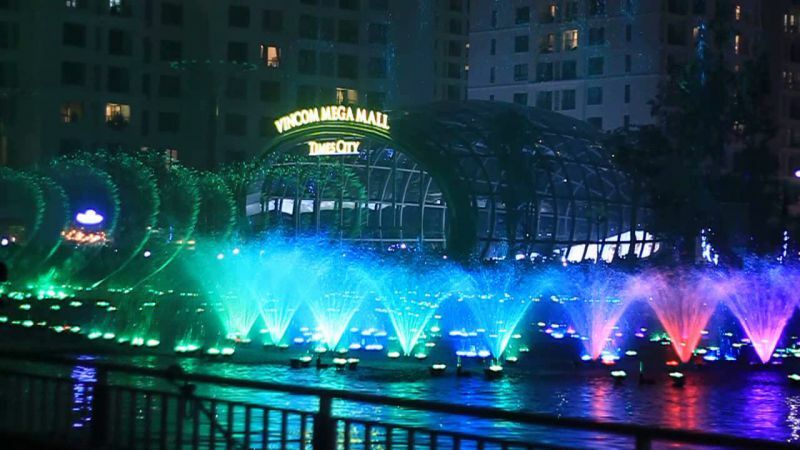 Vincom Ba Trieu center is such a shopping mall where you can enjoy dining, shopping and entertainment activities also. Living in an apartment in Hai Ba Trung district, you should not miss to visit Cho Hom (in English it is called Hom Market). This is a very impressively old market with its special charm. In spite of the proliferation of modern shopping complexes and commercial centers, the old fashioned Cho Hom is still always bustling with business every day of the week, becoming an important part of Hanoian’s daily life. 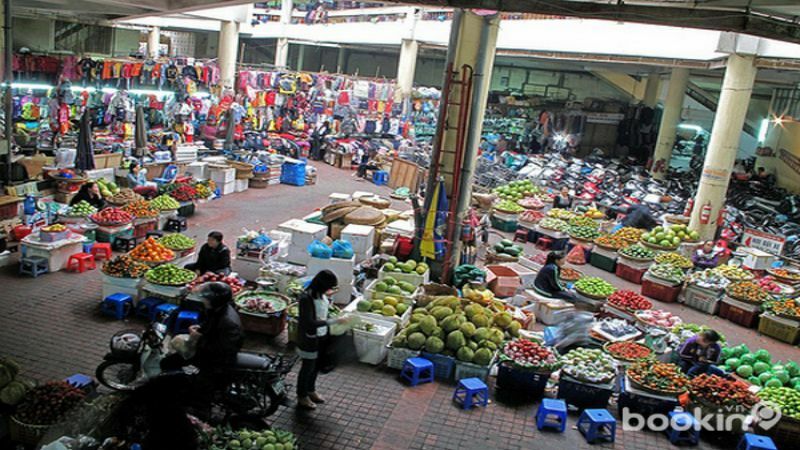 The market covers a large square of land area at the intersection of Tran Xuan Soan and Pho Hue Streets and it becomes an iconic address whenever we talk about well-known traditional markets in Hanoi. Today, the market is well known not only by the locals but also by the foreigners because of quality items being sold here. All items being sold in the market come from all over the country, including fresh vegetables, foodstuffs and fabric. Though prices are often higher than in other markets, the market is still always bustling due to quality of the goods. Especially, seafood is the best of all things on sale at Hom Market where you can find live fish, shrimp and crab that cannot be found anywhere else. Vegetables sold here are as fresh as they have been just picked from the farm. If you stay alone in an apartment for rent in Hai Ba Trung district and you are too lazy to cook or you are too busy with your working that you have no time for cooking, Hom market is your best choice because it also provides prepared dishes, well cooked in the traditional style. In addition, ready-to-wear clothes are also sold here – in Hom Market - on the ground floor while its second floor is home to the fabric market. This place is surely an enjoyable experience for your visiting. Around Hom Market are such special shopping streets as Tran Nhan Tong which focuses on shirts and jackets, Phung Khac Khoan and Tran Xuan Soan which are major for colorful fabrics. Transport and travelling in Hai Ba Trung district is also very convenient with many kinds of vehicles available for you, including taxi, motorbike taxi, bus etc. It is easy to access this area so you should not worry about your local travelling when you live in a house for rent in Hai Ba Trung area. 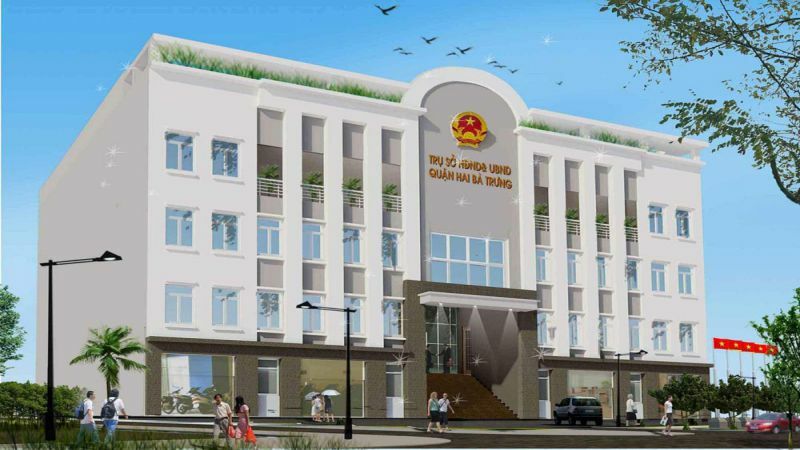 We are sure that when you come to Vietnam to work, you will find an accommodation to live. Thus we are here to help you to find you ideal home with many choices of properties in Hanoi such as villas for rent in Vinhomes Riverside. If you do not like to live house or villa you can choose one of apartment for rent in Mipec Riverside Long Bien or apartments in Ciputra Hanoi. Or contact us for further information about any properties in Hanoi with any budgets and requirements.